Above: Event poster by Nicholas Blechman. 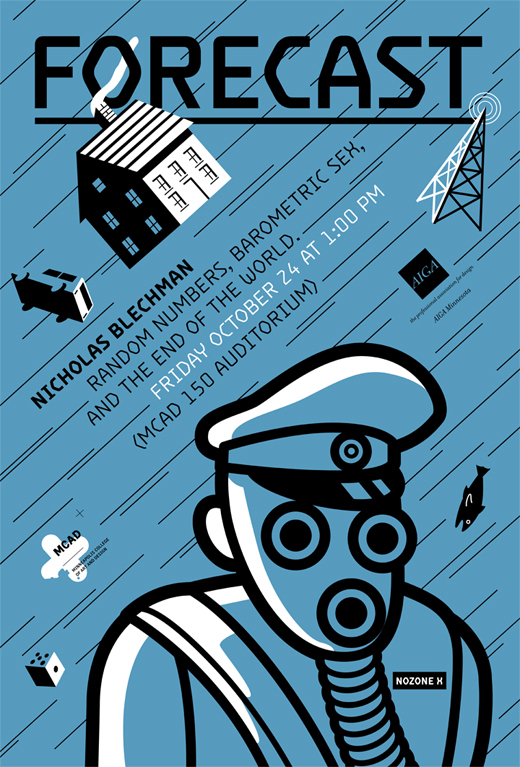 His lecture is Friday, October 24, 1:00PM at MCAD in Auditorium 150. Co-sponsored by the AIGA Minnesota. The forecast for tonight… dark. This entry was posted by Erik Brandt on Tuesday, October 21st, 2008 at 9:41 AM	and is filed under Aktuell.